A Utah lawmaker influential on housing issues is proposing a major financial boost for the state’s top source of low-interest lending to affordable residential construction, the Olene Walker Housing Loan Fund. SB34 — filed in advance of the 2019 Utah legislative session that begins Jan. 28 — would pump an initial $20 million into the fund in 2020, followed by another $4 million each year thereafter, according to sponsoring Sen. Jake Anderegg, R-Lehi. On top of expanding the fund’s budget, SB34 also adds allowing mother-in-law apartments, encouraging construction of high-density housing near transit lines and other steps to the state-approved list of strategies Utah’s cities and towns can use to promote housing affordability. The bill also seeks to tie moderate-income housing developments more closely with transportation corridors, while providing new penalties for municipalities that make no plan for future housing. But one thing SB34 wouldn’t do is mandate construction of new affordable housing units. (Rick Egan | The Salt Lake Tribune) Sen. Jacob Anderegg, R-Lehi, as seen in July 2018. In an interview, Anderegg said SB34 is an outgrowth of meetings by the Commission on Housing Affordability, created in early 2018 in light of escalating home prices and a lack of housing across the state affordable to those making average wages or below. That group — made up of city representatives, real estate executives, developers and housing advocates — met eight times over the summer to help craft these ideas. “In my mind, this is totally a nonpartisan issue,” Anderegg said Monday. As Utah’s population grows and companies in communities such as Anderegg’s hometown of Lehi continue to recruit well-paid workers from out of state, the senator said, “high school seniors graduating from Lehi High School can’t even afford to rent an apartment once they’re out on their own and stay in Lehi. So this is a serious issue we’ve got to deal with. The Olene Walker Housing Loan Fund, which typically offers so-called “gap financing” to low-income housing developers with other primary lending sources, loaned $8.8 million in fiscal 2018 to projects worth a total of $132.7 million, according to state documents. Gov. Gary Herbert’s budget proposal also calls for a boost in spending on the fund, with $15 million one time and $2 million yearly. A lobbyist for the Utah League of Cities and Towns said Monday the group supported provisions of SB34, which he praised for giving municipalities flexibility in how they approach the issue and for more closely linking transportation planning with the cities’ processes of finding land eligible for moderate-income housing. “The good news is that cities take their role on this issue seriously and are already moving ahead with many of these tools,” said the league’s executive director, Cameron Diehl. Anderegg called SB34’s promotion of accessory dwelling units, or ADUs, also known as mother-in-law apartments, “low-hanging fruit” in terms of the potential to generate new housing, especially in largely built-out cities. Cities typically encourage ADUs by loosening zoning restrictions in existing residential areas, letting homeowners build new dwellings in their homes, garages or as stand-alone backyard units. Salt Lake City adopted a new ADU ordinance this year, after more than eight years of study. SB34 also would let cities encourage affordable housing by allowing it in commercial and mixed-use zones and by eliminating or reducing requirements for parking spaces in areas where residents are less likely to rely on a car, such as apartment complexes near TRAX or senior living facilities. The bill incentivizes cities to offer programs for preserving existing moderate-income housing and to encourage building of single-room occupancy housing, known as SROs. SB34 nudges cities to coordinate their own land-use and housing plans with the work of regional planning agencies and long-range projections by the Utah Department of Transportation to better match housing projects with road and transit construction. 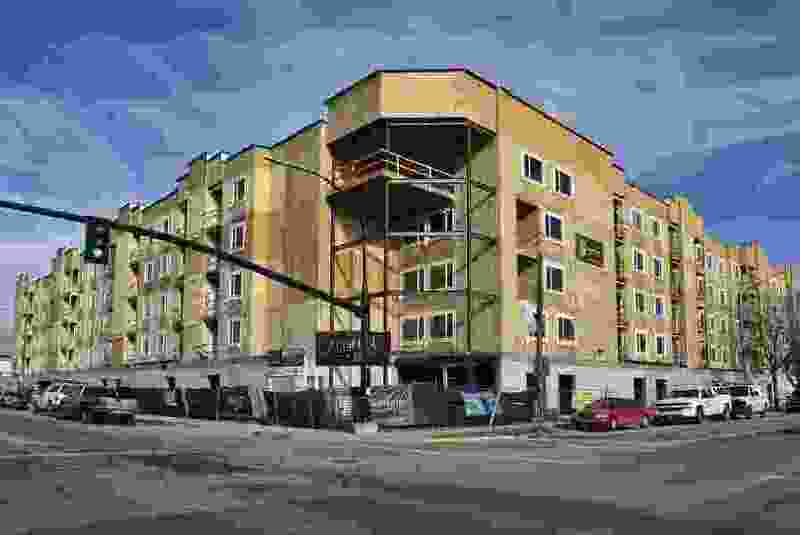 While state law had already required cities to submit their moderate-income housing plans biennially to the state Department or Workforce Services, SB34 would legally require them to do it yearly — and open them up to penalties including being left out of state highway spending if they fail to comply. Anderegg said key provisions in SB34 were still under negotiation and that a revised version of the bill would probably be offered shortly after the Utah Legislature convenes later this month.